Langtang is home to Tamang and Tibetan communities who are known for their Buddhist culture and lifestyles. 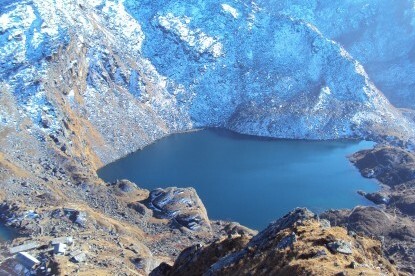 The major highlights of trekking in Langtang are the holy lake of Gosainkunda (4380m), Langtang Village (3430m), Kyanjing Gompa (3870m) and two high passes, namely Gyanja La (5500m) and Lauribina La (4600m). 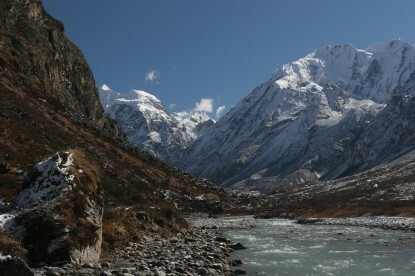 Langtang is home to Tamang and Tibetan communities. 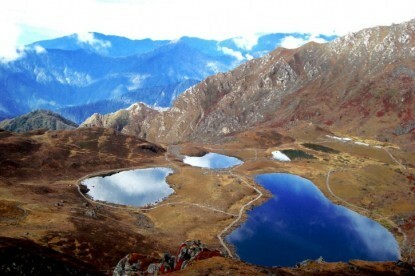 The major highlights of trekking in Langtang are the holy lake of Gosainkunda (4380m), Langtang Valley (3430m), Kyangjing Gompa (3870m) and two high passes, namely Gyanjala La (5500m) and Lauribina La (4600m). You will also be able to explore Langtang and Lirung glaciers near Kyangjing Gompa and visit the Ramsar lakes of Gosainkunda, Bhairav Kunda, Parbati Kunda in Langtang. 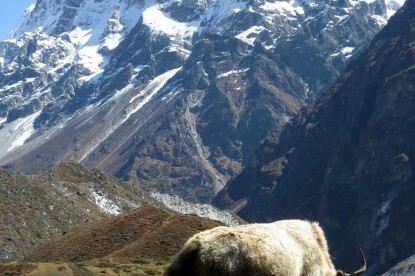 Langtang region treks- especially Kyangjing Gompa and passes- offer splendid views of Tibet mountains; Mt. 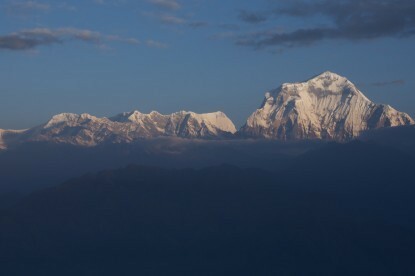 Sishapangma and Mt. Sanjen. It is also famous for peak climbing such as Yala, Langshisa Ri (6427m) and many other mountains. 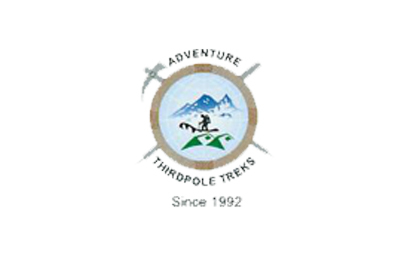 The trail mostly passes through Langtang National Park, a well-preserved sanctuary for Red Panda, Himalayan Thar, Himalayan bear, Langur Monkey, Snow Leopard, Wild Dog, Serow and around 300 bird species including Himalayan Monal, Snow Pigeon, Tibetan Snowcock and scarlet rosefinch. Bon Po Monastery dedicated to Tibetan Buddhism also fall within the park. 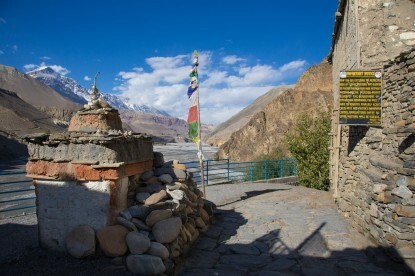 Tamang Heritage Trail, which was recently opened in the Langtang region, showcases Tamang and Tibetan culture, festivals and homestay facilities in Gatlang, Goljung, and Briddim. Likewise, Helambu trek, on the other hand, offers the culture and lifestyle of Sherpa Hyolmo people in Shermathang, Tarkegyang, Kutumsang etc. and is usually accessed from and ends in Sundarijal or Melamchi bazaar. Following the April 2015 earthquake that entirely destroyed the Langtang Village, Langtang community has once again joined hands to revive tourism in the area. 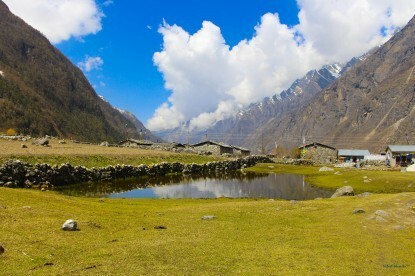 Houses, lodges, and hotels in Langtang Village are gradually being built and trekking trail to Langtang Village has been opened up after repair and maintenance.